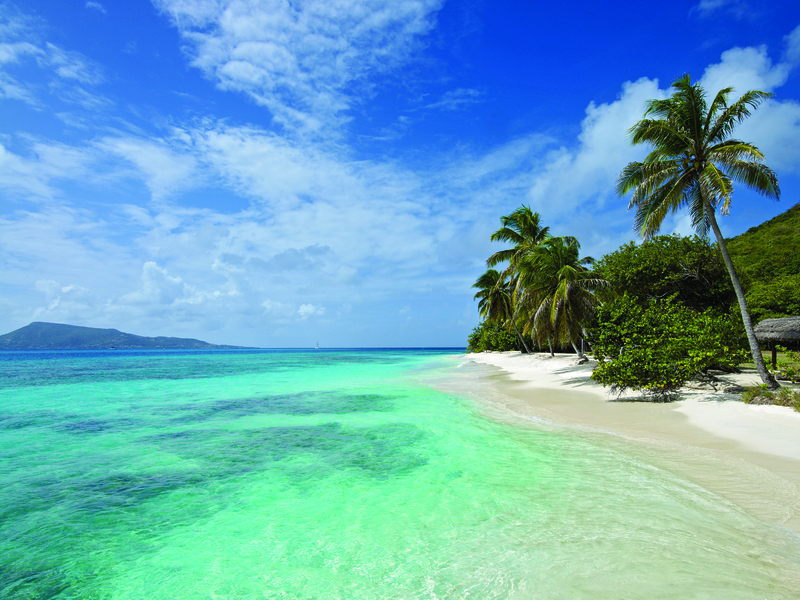 Petit St. Vincent is surrounded by the stunning water of the Caribbean. Secluded beaches abound on this tiny island near Barbados. View from my elegant cottage to the Caribbean Sea. A flag pole is the efficient low-tech message system between staff and guests. A sail on the resort's ship, Beauty, is a vacation highlight. 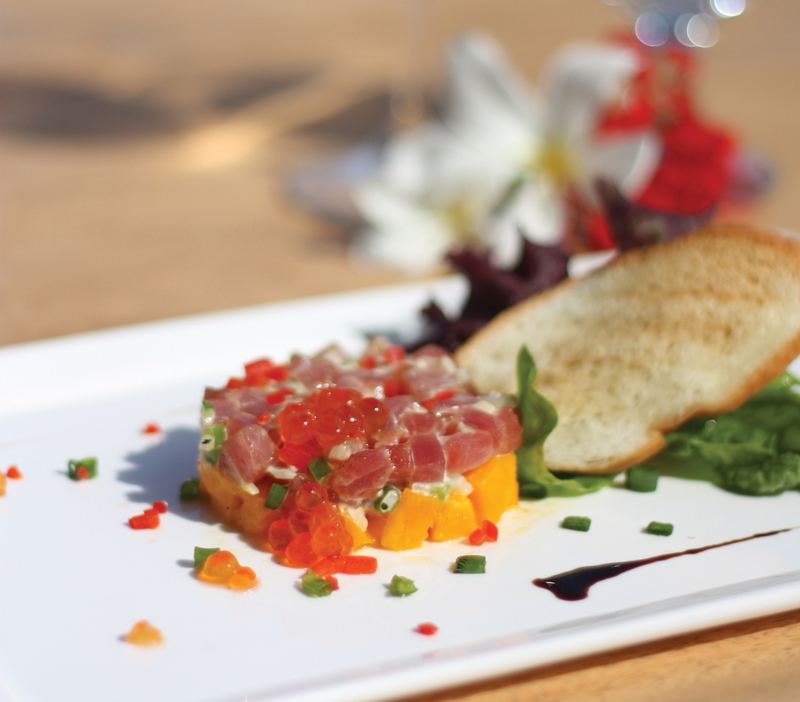 Freshly-caught fish is prepared with panache at the PSV restaurant. In today’s high-tech world, elementary school kids have smart phones and savvy toddlers cruise the worldwide web with ease. Stepping away from the Internet, television and cell phones, even just for a few hours, seems impossible. 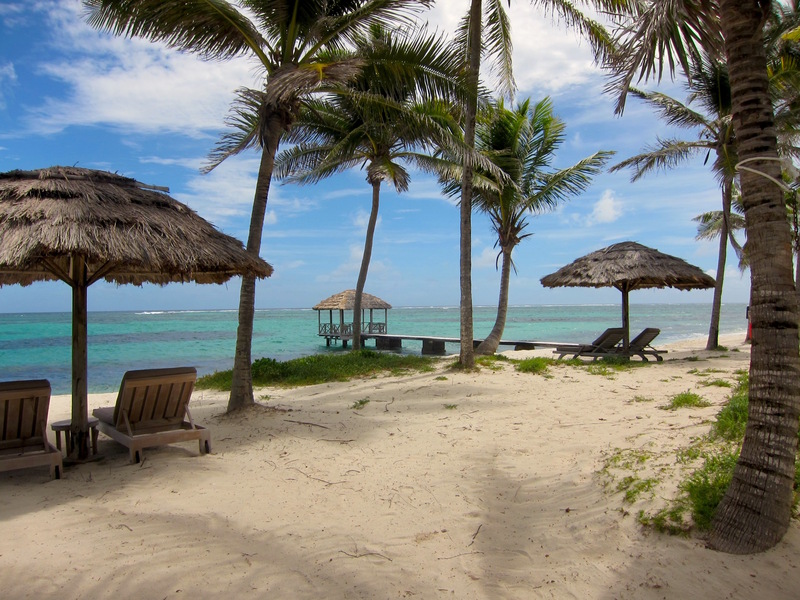 But in the sparkling Caribbean Sea sits an elegant private island that is as low-tech as they come. If your family is ripe for a digital detox, consider an escape to Petit St. Vincent, a vacation paradise so perfect you won’t miss checking your e-mail. Known by locals as PSV, it’s part of the Southern Grenadines, a chain of islands that is still only lightly touched by mass tourism. PSV is its crown jewel, a natural sanctuary that presents some of the clearest water and whitest sand imaginable. If you’ve ever dreamed of swimming with sea turtles in the wild, here’s your chance. 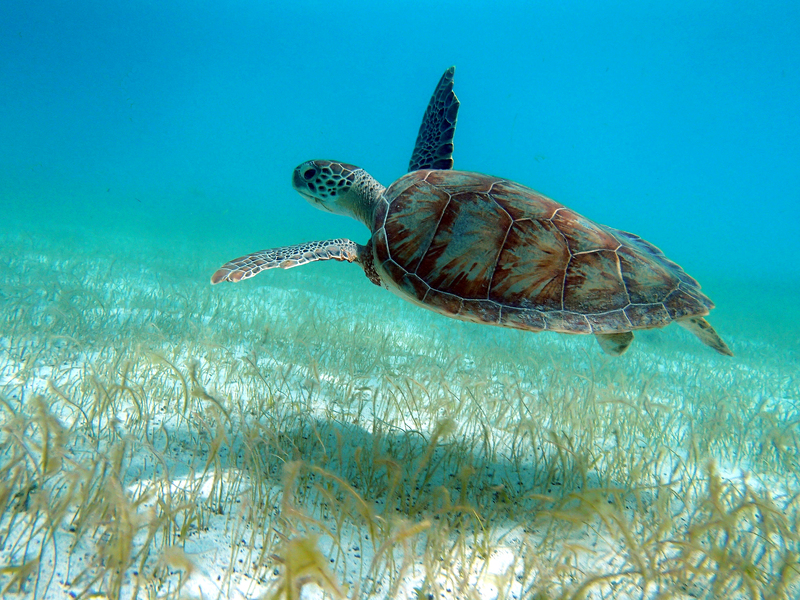 One of PSV’s most beloved activities is a day sail to Tobago Cays Marine Park, where you may snorkel and swim with sea turtles in this unspoiled swath of sea. The resort is the only thing on the island, so it’s extremely secluded. Service is discreet and refined but not fancy or pretentious, so kids should feel very comfortable. Without electronics to keep you occupied, family togetherness is what PSV is all about. There are no kid’s clubs or organized activities. You won’t find face painting or people dressed up like characters from Sesame Street or Disney films. Instead, you’ll spend your time sailing, kayaking, playing tennis and hiking the lush trails. The pristine coral reef assures unbeatable snorkeling and excellent scuba diving. Christmas, New Year, Easter and summer are when you will find numerous families with young children vacationing here. Multigenerational families with adult children frequent PSV year-round. There are no cars on PSV, only golf carts, so it’s safe to let the kids roam. Adults and teens should stop by the yoga pavilion that offers a daily morning class with an Instagram-worthy view of the ocean that you may gaze at while practicing your downward-facing dog. The treetop Balinese-inspired spa will entice with an array of soothing services. If you desire an adults-only romantic dinner, a kid-free sunset cruise or a parents-only day at the beach, babysitting can be arranged. PSV offers 22 spacious one-and-two-bedroom cottages. Cribs and rollaway beds are available for large or multi-gen families. While they include every imaginable luxury, they are low-key structures that mesh with the natural surroundings. Each freestanding cottage is either beachfront or perched atop the hillside with birds-eye views of the sea. Décor is subdued, with natural accents of teak wood, locally sourced hardwood flooring and touches of native volcanic stone. There is air-conditioning but chances are you’ll never need it thanks to the consistent breeze acting as a natural coolant. Cottages enjoy an indoor-outdoor flow with wooden decks, cozy outdoor seating and hammocks that are the ultimate elixir for whatever ails you. Three healthy, fresh meals and afternoon tea are included each day. There is a large organic garden that supplies a bounty of tropical produce. Several hundred chickens provide a windfall of organic eggs that children are welcome to gather from the chicken coop. Due to the resort’s intimate nature, dietary whims, including those of finicky children, are happily accommodated. There are two restaurants on the island. The Beach Restaurant is a casual affair where you can feel the sand between your toes and watch the palm trees sway as you dine on just-caught fish and island-grown vegetables. In-season, the kids may select a lobster from the lobster pond. The Main Pavilion offers a refined three-course culinary experience, but children are very welcome. Oenophile adults will be impressed with the eclectic wine cellar, with over 4,500 fine bottles of international vintages that will tantalize your palate. You may also dine in your cottage, a popular option at breakfast. Room service is noteworthy, so expect crisp linen napkins and piping hot food served with a smile. 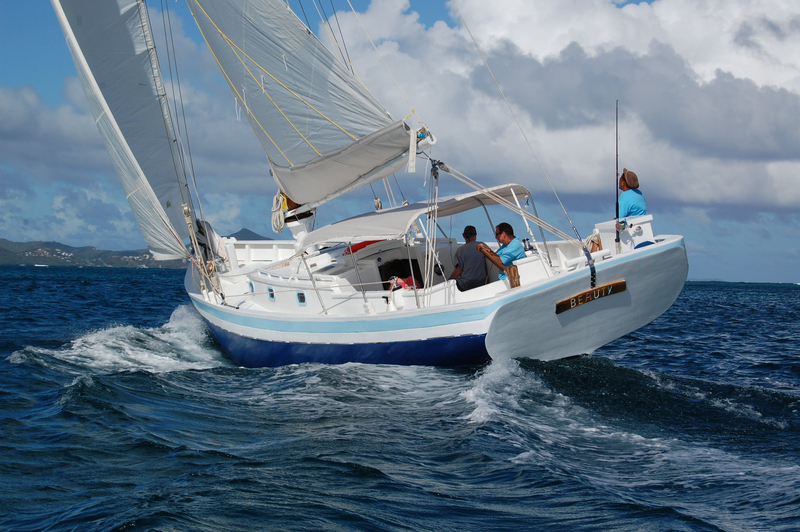 The highlight of my holiday was a day sail on Beauty, a 49-foot sloop. Captain Jeff Stevens has been living on boats for his entire adult life and his love for the sea is contagious. Jeff and Beauty will bring you to Tobago Cays Marine Park, an aquatic wildlife preserve that is home to a rainbow assortment of fish, starfish and green sea turtles. You will have the opportunity to get up close and personal with these pre-historic creatures as you snorkel alongside them in an underwater adventure better than any episode of Sponge Bob. The turtle’s paddle-like flippers help them swim at deceivingly swift pace, so it was good exercise trying to keep up with them. This is underwater nature at its finest, so don’t miss this unforgettable Technicolor experience. There’s a range of scuba courses on tap at the island’s dive center owned and operated by Jean-Michel Cousteau, son of internationally famed marine conservationist and pioneering diver Jacques. They offer a bubble maker class for children age 8-10, a full PADI certification course and much more. The pristine coral reef, coupled with expert instruction, makes for a memorable experience. A staff-to-guest ration of 3:1 ensures your every wish is catered to. Each and every staff member I encountered was genuine, friendly and helpful. With no telephones, you communicate your needs via a quaint message system. Each cottage has a driftwood flagpole that is strategically placed outside. When you want privacy, raise the red flag. 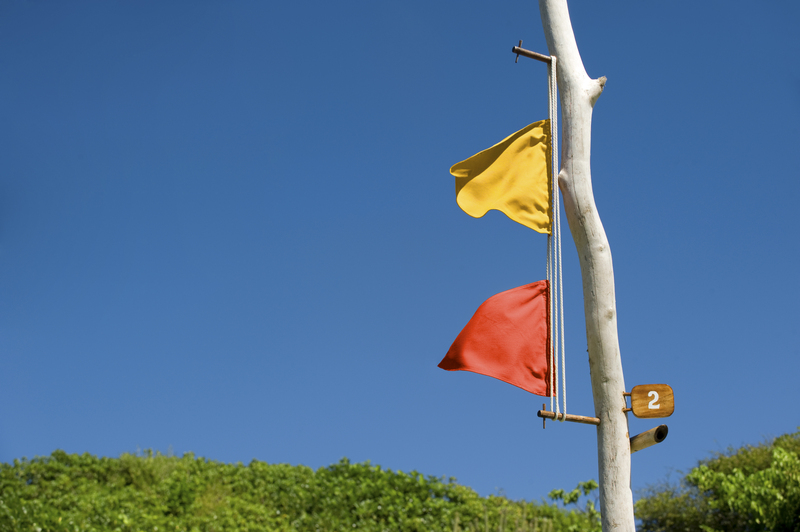 When you need something, raise the yellow flag. You place a note describing what you desire, be it early morning coffee or breakfast, inside a hollow tube and your need will be courteously attended to. It’s not easy to get to on Petit St. Vincent, but remoteness is part of its charm. Most guests fly to Barbados where they transfer to Mustique Airways for a one-hour puddle-jumper flight to tiny Union island. A staff member is onsite at the Barbados airport to ensure that the connection is as smooth as silk. A PSV staffer will meet you upon arrival at the Union airport to whisk you off for the 20-minute boat ride to PSV. When you finally dock, the General Manager and staff greet you with a cocktail or mocktail and a cool towel. Unpretentious luxury doesn’t come cheap. Exclusive PSV is definitely not for families on a budget. It hosts a number of celebrities and international movers and shakers but the low-season rates are fair considering what you get. (During some summer periods, you can rent the entire for yourselves, something Daniel Craig likes to do.) Everything — meals, activities, room service — is included in the price of your cottage, with the exception of alcoholic beverages. There is an attractive “Pay for 5 nights get 2 nights free deal,” as well as a summer special that includes most alcoholic drinks. 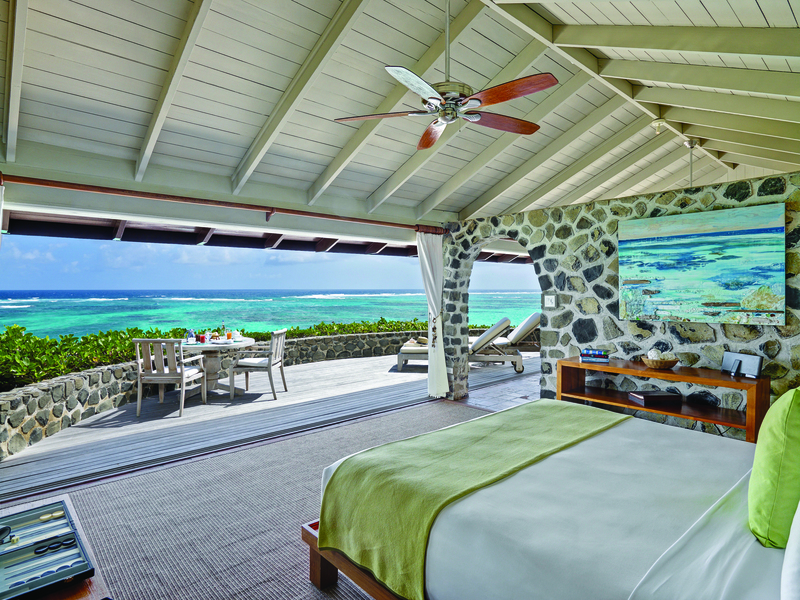 Check PetitStVincent.com for details on low season specials. Images courtesy of Mike Toy Photography and the author.